The Canon EOS C300 Mark II is neat and compact, but rugged too. The modular body can be adapted to suit the needs of each filmmaker, and the most challenging of environments. Operation and handling is simple, with a logical layout of buttons and weighing at 1.4kg, it’s comfortable for handheld operation. There’s also the benefit of a removable handgrip with a control dial and function buttons. With the handgrip removed, the thumb rest allows for totally stripped-down shooting. Designed with filmmakers in mind, the Canon C300 Mark II offers a broad range of versatile shooting options: at home being used handheld or with a tripod, and in the studio or on location, even with 3D rigs. The Canon EOS C300 Mark II can also accommodate shooting conditions that are challenging for larger cameras. The dials are fitted with O-rings and sealing gaskets around the edges of all access covers, making the camera dust-proof and splash-proof. The die-cast component construction allows heat to dissipate, keeping the camera cool while adding strength and rigidity. Durable, powerful, and easy to handle, the Canon EOS C300 Mark II is a practical production tool for the most creative of filmmakers and broadcasters. A game-changer for creative filmmaking, the C300 Mark II provides remarkable image quality, superb AF with EF lenses and maximum post-production freedom. With the EOS C300 Mark II, Canon has pulled out all the stops, delivering superb high-resolution images, thanks to the enhanced 8.85MP Super 35mm CMOS sensor, and low noise & extraordinary detail. There’s then the option of EF, EF lock or PL mounts. The Canon C300 Mark II offers superb image quality with its XF AVC Codec – an H.264 format with a widely-supported MXF wrapper. Creative possibilities such as high-speed, slow motion and time-lapse are now available in post-production. There’s also a wide choice of colour gamuts to suit any workflow and final output medium, including Canon Cinema Gamut, DCI-P3 and BT.2020. including Cine Servo lens range². same as for the viewfinder. boosting (on/off) can be performed (using menu settings). 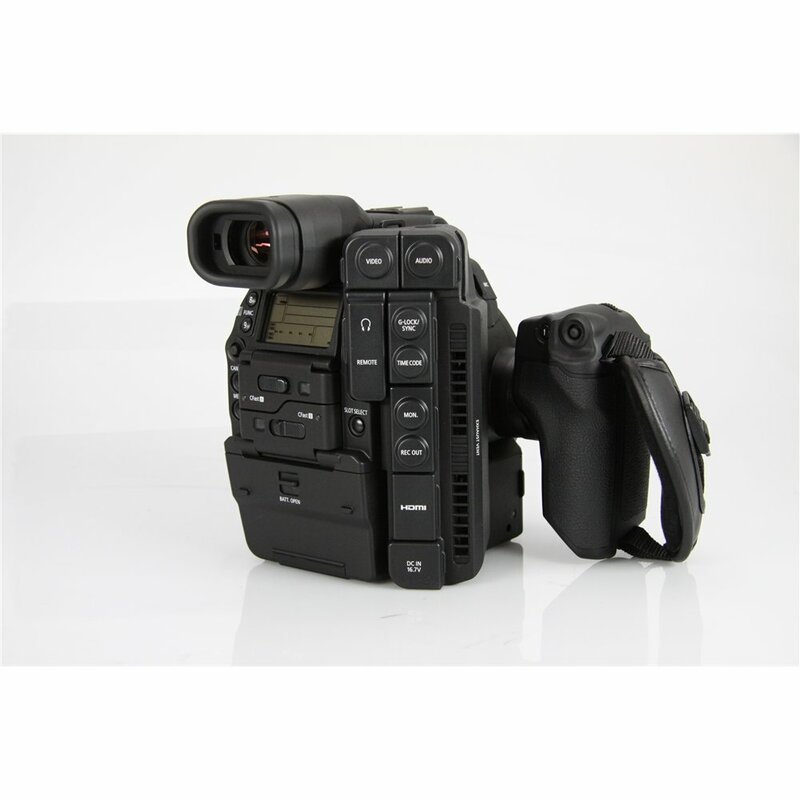 Exposure Control and Metering Manual, Push Auto Iris, Auto Iris (with compatible lenses). 30dB, 33dB, 36dB, 39dB, 42dB, [45dB, 48dB, 51dB 54dB] [---] Displayed when ISO speed expansion is ON. (*) Displayed when ISO speed expansion is OFF. The Canon EOS C700 Shines in new 4K Promo "The Calling"
Convergent Design Summer Sale - Get $400 Off RAW Bundle! Canon is Working on an 8K Camera and a 120 Megapixel DSLR! Vocas to Present New Canon C300 Mark II Accessories, Complete NATO System, 6.6" x 6.6" Matte Box and More!